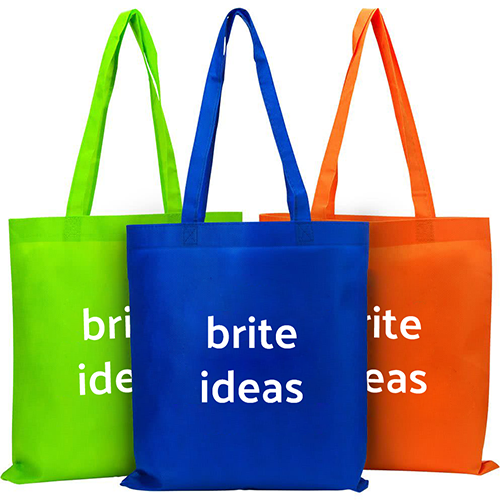 Buying imprinted promotional products is a great and inexpensive way to promote your business or social function. From imprinted beach balls to koozies to advertising magnets to imprinted basketballs to promotional pens or pencils to custom matchbooks to imprinted magnets or Medical Promotional Items to any imprinted item – we have it all. Imprinted promotional products such as stadium seat cushions, promotional mugs, or custom T-shirt are advertising items that will last for years to come. We offer imprinted promotional products and business gifts that are compatible with your company’s needs, regardless of your products and/or services. There is no limit to the ways in which we can help you deliver your marketing message. We’ve got items for trade show giveaways, as well as wearables, business gifts, direct mail campaign items, fund raising, political campaigns, special events, imprinted products, company promotions, uniforms, and more! So why buy imprinted promotional products? The answer is simple. A little bit of expenditure for imprinted products or a promotional corporate gift can go a long way in advertising for your business or event. By purchasing high quality, functional, and useful products, your customers will keep that item that you give to them. They will continue to reuse the promotional corporate gift and give you repeated advertising exposure not only to them, but also to everyone around them. Therefore, just a few imprinted promotional products can advertise to hundreds or even thousands of people. 1 high quality imprinted water bottle will be repeatedly reused to give you multiple advertising exposures. Imprinted beach balls can be used over and over and expose your advertising message to hundreds or thousands of people. Promotional pens or pencils will be used over and over for maximal advertising. Imprinted basketballs will last for years with your imprinted promotional message. Advertising magnets are kept on your customer’s refrigerator for years with your company name and phone number right in front of them. Imprinted promotional products are very inexpensive and are a much more cost-effective means of advertising as opposed to newspaper, magazine, radio, or television advertising. Perfect Imprints has the perfect imprinted products for your budget and also for your business or event. We offer the ability to personalize imprinted promotional products for companies and organizations of any size. We have the perfect corporate promotional items for tradeshow giveaways, to create excitement for a new product launch, or to simply create company awareness. Our products provide great corporate promotional items and include your corporate logo and messaging. We help set your company or organization apart by providing you with more than just a promotional pen. We offer retractable badge holders, carabineer key chains, and even Corkscrews all personalized with your information. Unique promotional products make your organization stand out and helps drive business to you. Here are four great tips for buying custom imprinted promotional products that will achieve your marketing goals and enhance your brand. Learn how to make the most of your promotional marketing budget and have the greatest impact on your customers with a promo you can really be proud of. Best of all, you don’t need to be an expert to get the most out of your custom imprinting. This is a simple imprinting tip, but one that shouldn’t be overlooked: pick an item that features one or more of the colors in your company’s logo or branding. Doing so gives you a couple great printing advantages. First, choosing imprinted promotional products in one of your colors may allow you to reduce the number of colors you need to imprint on the item, which will save you money on setups and imprints. It also may give you a broader range of products to choose from, since some products can only be imprinted in a limited number of colors. Second, since imprint areas don’t cover the entire item, your company colors are likely to be more prominent when one of them is the color of the whole item. Another simple way to increase the impact of your imprinted promotional products giveaway is to make sure your logo is as large as it can be, as clear as it can be and your tagline or message makes a bold impact. You don’t have to be a designer to achieve these goals. We can help to ensure that your logo is as clear and large as possible on your custom imprinted promotional products. Your job is to make sure your message; tagline or call to action is succinct and compelling. Trying to put too much information on a product often dilutes the impact of your primary message. If the imprint area is small, it may become hard to read or may take space away from your branding. Many imprinted promotional products have multiple imprint areas available. Although using more than one imprint area will increase the cost of your item, it may be well worth your while. Remember, the return on your promotional marketing dollar is brand exposure, so taking advantage of multiple imprint areas to make your message more compelling can really pay off. It can also make your custom item more interactive, by using a teaser question on the front and an answer on the back. The options are almost endless, and depend largely on the type of imprinted promotional products you select. Hopefully you are starting your project with enough lead-time to have the broadest range of choices. If so, you should definitely consider getting a sample of the imprinted promotional products you are interested in. We may offer suggestions of alternate artwork layouts as well that can further enhance your custom promotional item. Finally, if you’re placing a large order and have the lead time available, we recommend getting a pre-production proof, which is an actual finished, product with your exact artwork to review before the full quantity is printed.